Find Ganesh Chaturthi 2018 HD Images, Best Wishes, SMS, Quotes for Facebook and WhatsApp. Also get the latest news and updates here on Ganesh Chaturthi Hindu festival! Ganesh Chaturthi 2018: According to Hindu calendar, another festival is just around the corner and we can't hold on our excitement. This annual Hindu festival which is celebrated with great zeal marks the birth anniversary of Lord Ganesha, the god of wisdom, prosperity and good fortune. Ganesh Chaturthi is observed throughout India, especially in the states of Maharashtra, Karnataka, Goa, Telangana, Gujarat, and Chhattisgarh. As the temples are already adorned with lights for the festival, seems like Hindu followers are all prepped for this year's Ganesh Chaturthi. While we all love to wish each other on the festival, it is important to find the right messages and images for a digital celebration of the festival. 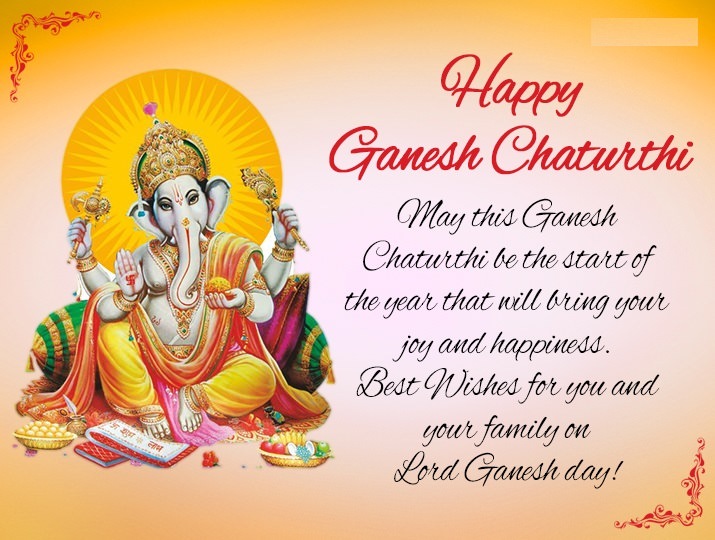 This is the reason, today we bring you a couple of heartfelt Ganesh Chaturthi messages and images which you can send to your friends, family, and colleagues across different social platforms! 1. With the blessing of Lord Ganapati, may you receive success in all your endeavours!